The Star Wars franchise is one of the biggest in film history, which means the opportunity to helm one of its installments is both quite a boon, and a significant show of confidence in the filmmaker’s ability. Unfortunately, those chances have, to date, been offered exclusively to white male directors. This, despite Star Wars steward Kathleen Kennedy saying in October 2015 that “there’s nothing [she’d] like more” than to see women in the director’s chair. At the time, the Amblin Entertainment co-founder said “There is an assumption made that the people involved should predominantly be men,” but such an assumption was just plain nuts given that so many women are fans of the movies. Obviously, this is a heartening response, and we can easily name directors who are more than up to the task, Patty Jenkins, Ava DuVernay, Ryan Coogler, Karyn Kusama, Amma Asante, and Guillermo Del Toro—the latter of whom has already pitched a few ideas to Lucasfilm—to name just a few. Even Kennedy, when asked recently about prospective directors, said she’d “love” to work with Taika Waititi, who did just shake up the MCU with Thor: Ragnarok. 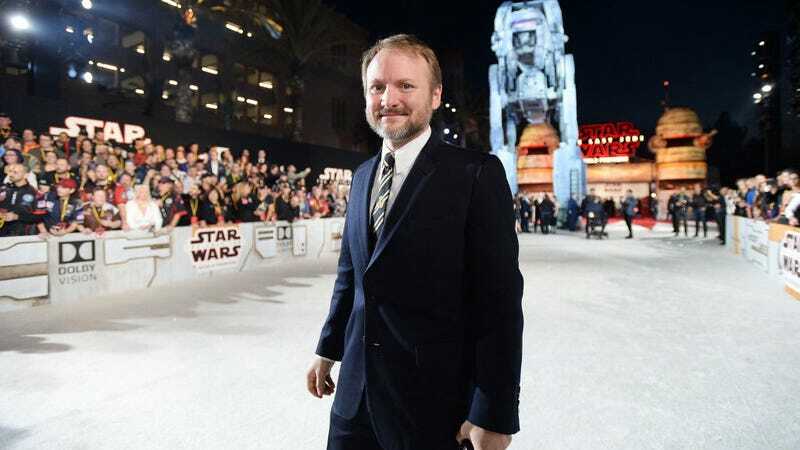 Johnson has already been handed the keys to a new Star Wars trilogy, of which he’ll write and direct the first installment. That means there are at least two plum opportunities for directors of color and female directors to join the Lucasfilm family, which we hope will happen sooner than later.